The Savant classes may be some of the most difficult to play well. 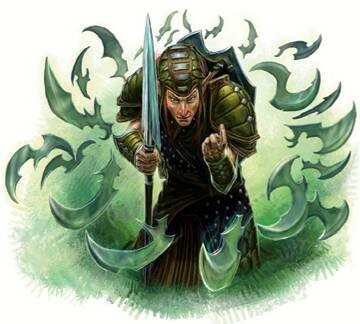 Partly this is because they tend to have the most exacting restrictions and standards among all the character classes but equally challenging is the ability to use their plethora of Talismans wisely. Talismans are a unique element to this gaming system but their roots are in the original AD&D structure. 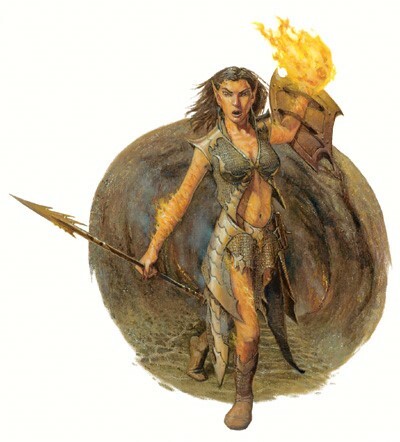 Unlike the Mage Caste, Savants gain the ability to pick from the entire list of available Talismans for their class without having to worry about bartering or buying them as Mages must. The Savant may use any Talisman on the list available to them but is restricted in the number they are permitted to call per day. This means they must be very careful and considerate in their choices in order to maximize the potential of these Talismans. Now, some might say that this is a substantial handicap to the class but in action it can be seen that the trade off is a good one for game balance and for game play. The Savant is benefited greatly by the overall lack of material component requirements for Talismans, usually only needing their holy symbol, to call one forth. Furthermore, Talismans are as a rule more difficult to save against because they represent divine (either celestial or terrestrial) power being channeled by the Savant. Once again this requires a good deal of savvy in the use of Talismans and will test the skill of any player choosing to play one of these classes. This Caste includes five very interesting classes: Priests, Druids, Warlocks, Shamans and Monks. In game play they represent five extremely different skill sets, though Priests and Druids have much in common. Savants as a rule have little training in combat, with Shamans and Monks as the exceptions. Furthermore, they have broad magikal abilities, except for Monks who are rather more focused. The Savant Caste is also unique in that it contains two classes which are in almost direct opposition. The Druid and the Warlock will never ally with one another voluntarily, and in many cases may come into conflict. This is mostly due to the Druid’s dedication to the preservation of the natural order and their view that the primary threat to all creatures on the planet is Chaos; while Warlocks tend to embrace Chaos as a powerful medium and a valuable means to an end. The Shaman is also special being a priest like class with the ability to affect areas with his elemental or protective Totems. One similarity to the Mage Caste is that Savants are able to use a series of semi-mystical abilities called Orisons. Orisons represent a very humble version of Talismans that are granted to those who seek to make a connection with the cosmos. A Savant may use only three (3) +1 per level Orisons per day. The Savant may choose to use anyone of them at will. Like Cantrips the effective range of these is 10’. The calling time is 1 round and is taken as a Full Action. Calm: A single creature that has been startled or frightened is soothed. Victims suffering from magikal fear may attempt a save vs. spell at -4 to calm themselves. Though the duration is one round, the fear will not come back. A new terror, however, may scare them again. After being Calmed, one round later you will not worry, however, a new dragon would still be frightening. Courage: The priest gains a +1 bonus to his next attack roll, as long as the attack is made within the spell’s duration (i.e. within one round/level of the Savant). This ability does not stack for purposes of combat. Divine Illumination: This orison will summon a small, holy sphere of light, yellow in appearance, like sunlight. The sphere is 3″ in diameter and will well illuminate objects within a 5′ radius. Viewers outside of this sphere will be able to notice the light, but it will provide no useful illumination for work outside the 5′ radius. Within the sphere, one can work, read, etc. as well as they could in normal sunlight. This orison’s effect will last as long as the Savant maintains his concentration upon it, but no longer than one hour in any event. He may read or walk, talk or sing, etc., but may not engage in combat, call Talismans, or do anything that requires similar concentration while maintaining this orison. This orison will not affect Dark Vision or Low-Light Vision. Divine Stature: This orison will lend a holy aura to the Savant or some suitable item (holy symbol, holy animal, holy site) for one round/level. During this time, all viewing the Savant or item or area will feel the presence of the Savant’s deity and know what god inspired this feeling. The area may be no bigger than a sphere of 10′ radius. Though no one coming into the area or seeing the item anew will be affected after the duration of one round/level, the psychological affect may linger on those who did see it for quite some time (perhaps days). Guidance: The Savant gains a +1 bonus to a single Wisdom or Intelligence check to determine the right course of action in a MORAL dilemma or puzzle. Thus, it is useful to help stay inside an alignment restriction (if one really needs this). Healing: By his or her touch, the Savant may heal a creature for 1 hit point of damage. No one creature may be the recipient of this spell more than once in a single day. 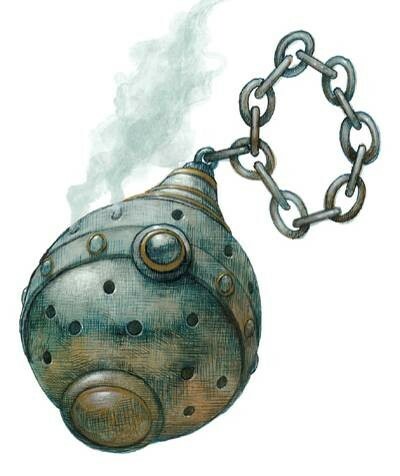 Magik Sense: If there is a persistent spell effect or magikal item within 10 yards, the Savant feels a recognizable tingle or sensation of some kind. He has no way to determine what item or spell may have caused the reaction.